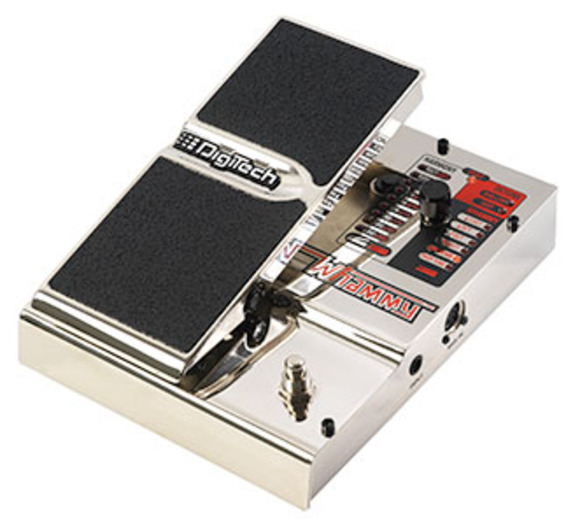 SALT LAKE CITY, Utah -- Twenty years ago, DigiTech® completely changed the way musicians entertained the masses with the introduction of the Whammy™ pedal. For the first time, guitarists could bend notes up and down with the simple, foot-controlled expression pedal. To commemorate two decades of Whammy, DigiTech is offering its limited edition, 20th Anniversary Whammy pedal to its dedicated customers. Only 2,000 of the chrome-plated, hand-signed pedals will be cast to mark this momentous occasion. Each pedal will be hand-numbered for authenticity, making it an instant collector's item as well a prestigious addition to any player's pedal board. The Whammy became a staple in live shows and studio sessions after artists such as Dimebag Darrell, Tom Morello and Steve Vai had a chance to put it to work. The true genius of the Whammy Pedal was completely unleashed onstage during these artists' early 90's live shows. "Harman is very happy to celebrate this historic pedal's long tradition and continued success," said Rob Urry, President of the Harman Music Group. "For 20 years, the Whammy has formed the foundation of great-sounding live and recorded music across the industry. We are looking forward to keeping musicians at the top of their game for the next 20 years and beyond."